What a great holiday gift for a creative child! 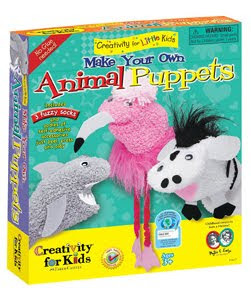 Emilie of Baby Loving Mama is giving away this Make Your Own Animal Puppets kit from Creativity for Kids! There are lots of ways to earn extra entries. This contest is open to both U.S. and Canadian residents. Hurry! This contest ends on October 18th, 2009.